I am not sure just how rare it is, but just a year after opening, ‘Le Clarence’ in Paris has just been awarded two Michelin stars. Perhaps that’s not so unexpected given its provenance: the restaurant is housed in an elegant 19th century mansion purchased by Domaine Clarence Dillon (Château Haut-Brion, Château La Mission Haut-Brion), to become the company’s Paris HQ, and entirely renovated by Prince Robert of Luxembourg. 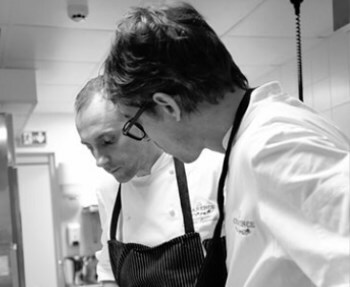 The mansion also houses ‘La Cave du Château’, a unique Fine Wine shop, and when Chef Christophe Pelé (right) came on board – previously awarded two stars in his restaurant La Bigarrade, Le Clarence’s fate was sealed. 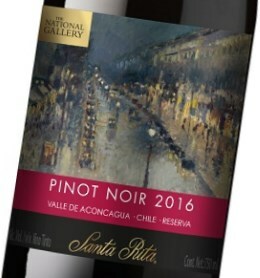 Chilean wine producer Vina Santa Rita has joined forces with the National Gallery Company in an partnership that will see some of the most famous paintings in the world adorn the labels of a new line of limited-edition wines. A percentage of the profits of each bottle sold will go back to the National Gallery, which enjoys charitable status. The three year licensing agreement allows access to over 2300 images and the first UK release includes a Pinot Noir depicting Camille Pissarro’s ‘The Boulevard Montmartre at Night’ which retails for £8.50 in Sainsbury’s, and a Chardonnay and Merlot sold by on-line wine retailer Laithwaites for £9.99 featuring George Seurat’s ‘Bathers at Asnières’ and Turner’s ‘The Fighting Temeraire’. Trade magazine Drinks Business and online fine wine trading exchange Liv-Ex have compiled what they say are the world’s top 10 most powerful fine wine ‘brands’, calculated by researching year-on-year price performance; trading performance on Liv-ex by value and volume; number of wines and vintages traded; average price of the wines in a brand. Bordeaux’s Château Lafite took number one spot, generating the highest total value of all brands traded on Liv-Ex, though its average case price of £3,757 placed it only 17th in the rankings. 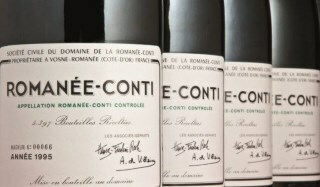 The highest average case price went to D.R.C’s Romanée-Conti, at a staggering £18,141, though Domaine de la Romanée-Conti managed 6th place overall in terms of ‘power, no doubt due to the relative volumes being traded against the Bordeaux first growths, which occupied the top five slots.